A lengthy short story from the mind of Eliot King comes to life onstage in a powerful pantomime by Marissa Schutter and Donovan Fletcher. 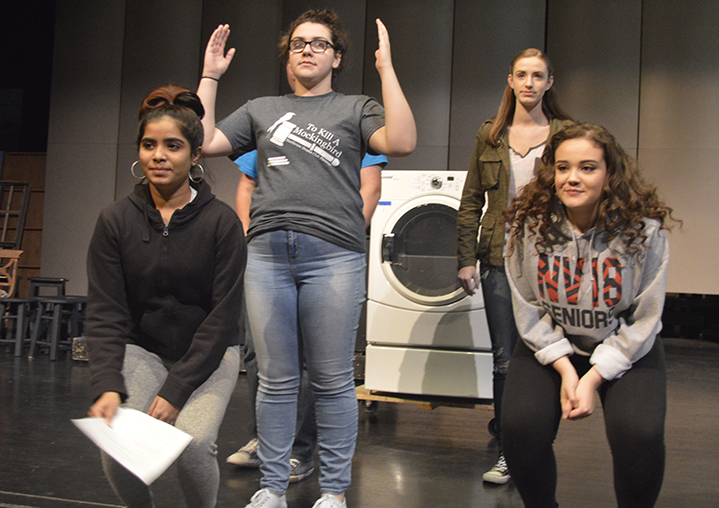 A science-fiction tale written by Hailee Cederquist becomes a humorous domestic skit about channel-surfing by Phoebe Dawson and Yesenia Cotto. And Yesenia gives a moving reading of Heaven Rademaker’s monologue about medication abuse. 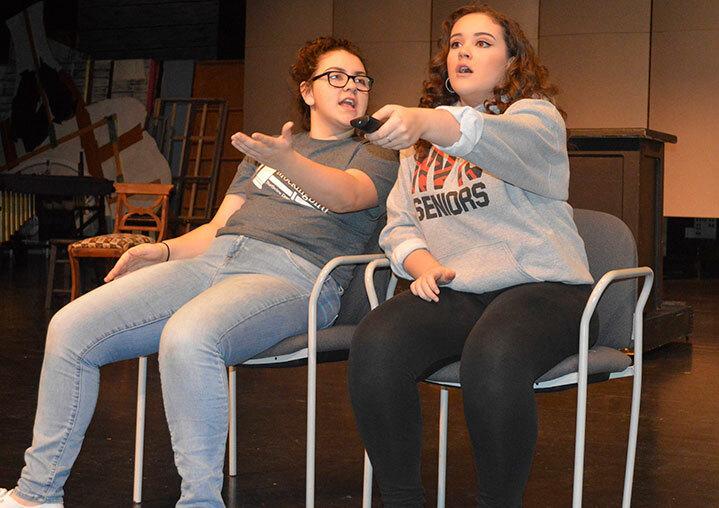 The combination of creative writing and stagecraft adds up to “Theatre by the Numbers,” to be presented by the Northview High School theater program on Wednesday, Nov. 29. 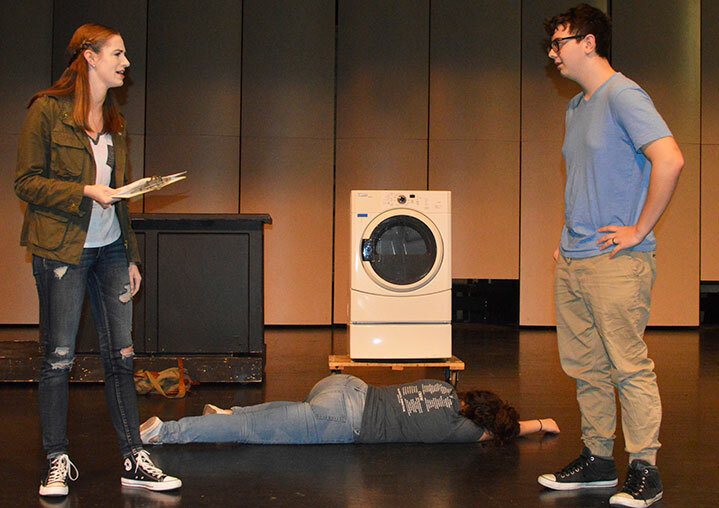 The production’s theatrical interpretations of various forms of writing represents a synthesis of artistic creativity among NVHS students. The result was an enriching experience for Nancy Hoffman’s Advanced Theatre Arts Class, a new elective this year, as well as for the student writers from other classes. 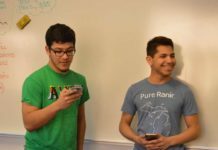 Nearly a dozen of them submitted their writings, as did language arts teacher Megan Martin. It’s also a nice change from performing works by professional playwrights and authors, added senior Yesenia Cotto. 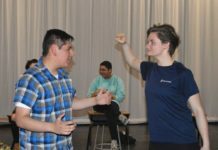 Hoffman got the idea from seeing a production last year at East Grand Rapids High School, where the method has been used for several years. “I thought it was a cool thing to have students in the school sharing their thoughts, and I loved the adaptation that the actors put into it,” Hoffman said. 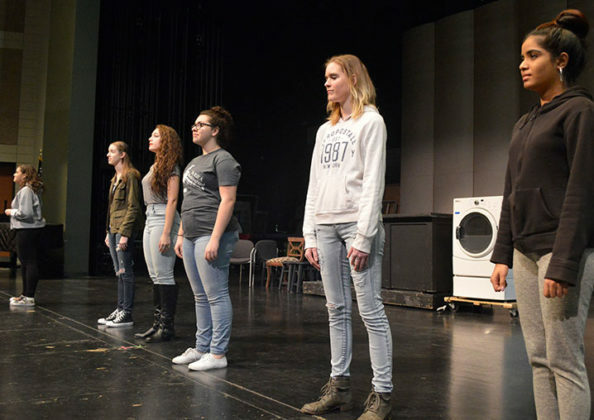 The production is “harder than you realize,” she added, noting the students perform the written works in response to numbers that audience members call out. Students have to memorize the numbers and be ready to perform any of them at all times. 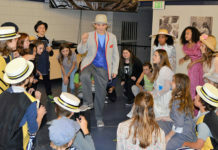 Another challenge was adapting the writings for stage performance. Senior Eliot King’s short story covering the many stages of a couple’s relationship was condensed into a wordless pantomime with a soft piano soundtrack. 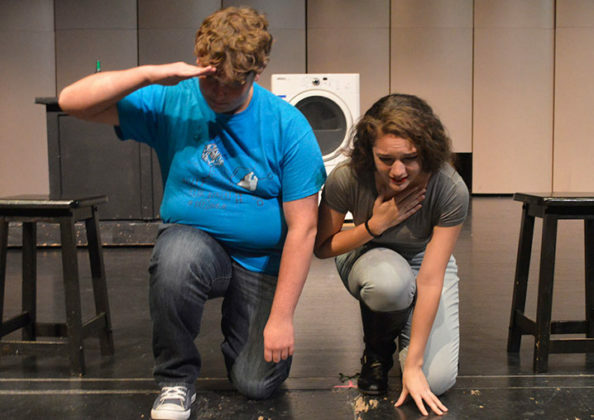 Marissa Schutter, who performs in the piece that goes from early romance to bereaved parents, said the adaptations struck a delicate balance. 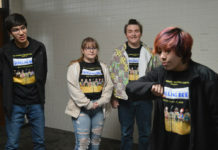 Heaven Rademaker, author of “Side Effects,” said its theme of drug abuse affecting both parent and child will resonate more widely from the stage. Hoffman is confident her actors will skillfully perform their fellow students’ material.